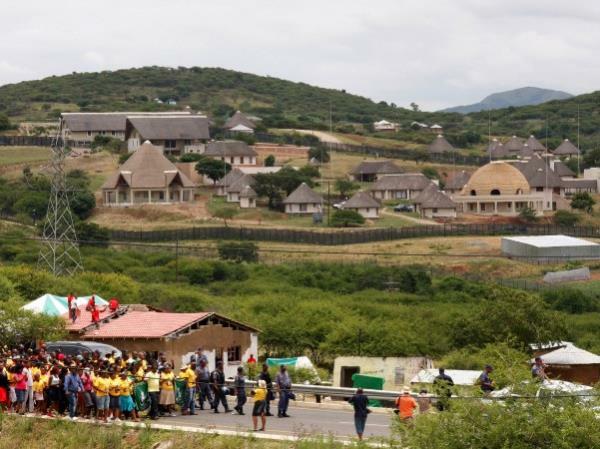 The estimated total cost to President Zuma's Nkandla home is over R240 million, Public Protector Thuli Madonsela's report into the matter revealed on Wednesday. The estimated total cost to President Zuma's Nkandla home is over R240 million, Public Protector Thuli Madonsela's report into the matter revealed on Wednesday. "It is estimated that the cost of phase three, which has not been implemented, is R31 186887, which could bring the total estimate cost of the project to R246 631 303." Madonsela found that the department of public works' records indicated that, by the time the probe was concluded, total expenditure on the project amounted to R215 444 450. Cost estimate for phase three, excluding consultants' fees R31 186 887. The homestead has been at the centre of controversy after it emerged that the public works department had approved upgrades to the President's KwaZulu-Natal homestead. Madonsela has been criticised by the African National Congress for her handling of the probe. ANC secretary general Gwede Mantashe has said that the release of the report close to May 7 would indicate an intention to "muddy the waters in the election campaign". Madonsela previously dismissed claims that her office would time the release of her final report with the aim of influencing the elections. On Sunday, Mantashe said the party did not have any expectations from the Nkandla report. He called it a "political report", saying the ANC would treat it that way. In an eNCA interview in February, Zuma disputed that more than R206m had been spent, saying the security upgrades cost around R50m. Zuma also told the news channel that he would not resign.